I love this list! I can go right out my door to pick apples in our mini orchard - although the deer seem to get about half our crop (we love sharing with them). At my age and creaky bones - I'll leave the leaf pile jumping to the younger set. What is leaf peeping? 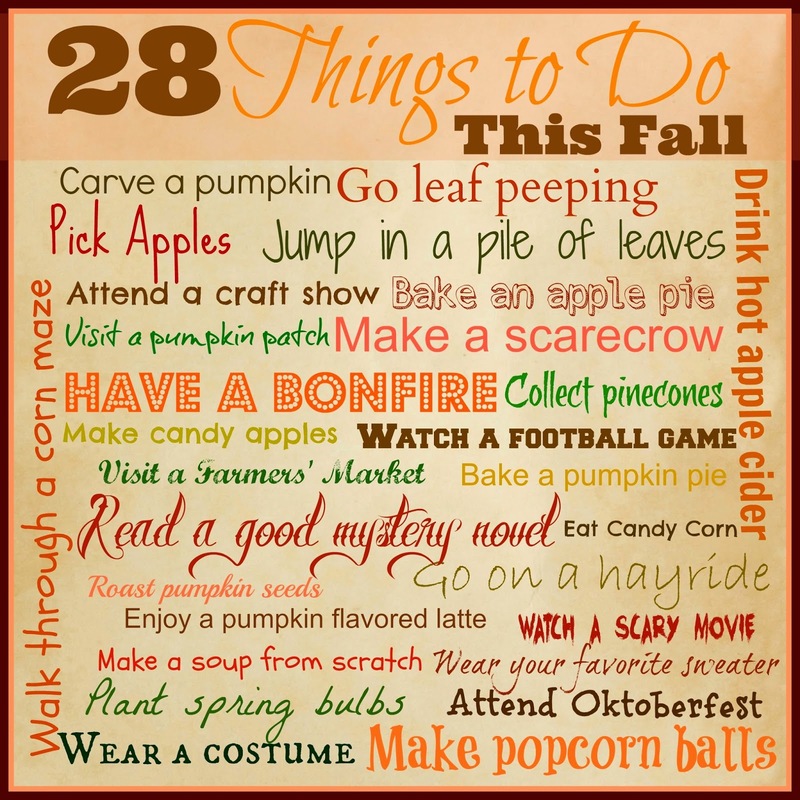 Hot apple cider and a bonfire are a must do for fall though.